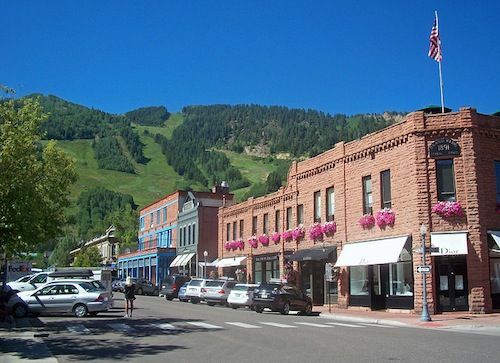 City council members in Aspen, Colo. are considering reducing the speed limit in a residential area of the popular ski resort community to 14 mph, according to The Aspen Times. The eye-catching speed limit is the town’s attempt to get the attention of drivers and have them slow down. Mayor Mick Ireland previously suggested an 18 mph speed limit, but council members decided to lower the proposed limit to 14 mph. The West End’s current speed limit is 25 mph, but residents say that few drivers obey the speed limit. Residents say that reducing the speed limit would be key in protecting people. The area is a hot bed for speeding, because drivers often drive through neighborhoods to avoid traffic jams on nearby Highway 82. The 14-mph proposal is the latest in a long line of measures that the city has undertaken in recent years. Just last year, the city set up bollards, fixed vertical posts in the middle of the road to curb speeding. Aside from bollards, the town has also set up a free bus service that runs between Aspen and an intercept lot near Highway 82. Additionally, Aspen has ramped up police presence in the area and added extra stop signs. As for the cost of reducing the speed limit, City Engineer Trish Aragon stated that 60 new speed limit signs would cost the city under $500 per sign. The city has not divulged the cost of additional speed bumps and stop signs, which it also plans on installing. Interestingly, Aragon said that a city study found that the majority of motorists are traveling under 25 mph on West End streets. That being said, community residents have continued to complain about speeding. “They still say, ‘We don’t care what this shows; they’re still going to fast, in our view.’ That’s what the community has told us,” said Aragon. According to recent data from the Insurance Institute of Highway Safety, one third of all motor vehicle fatalities occurred in speed-related crashes in 2010. The National Highway Traffic Safety Administration (NHTSA) estimates that speed-related crashes cost more than $40 billion each year.